Most banks have some kind of an internal incentive program design to help people who can’t afford their current mortgage, or they participate in national programs outlined below. If you’d like us to send you a breakdown of what sort of assistance or incentives your bank provides, simply fill in your name, email address and let us know which bank your mortgage is with in the form below and we’ll get right back to you with the info you’ll need. You can use our quick calculator below to see if you may qualify for HARP. 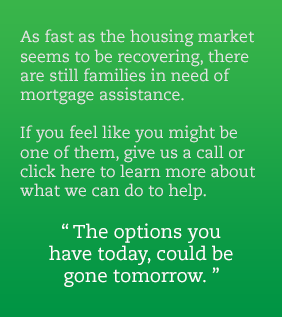 And of course if you have any questions or would like immediate assistance, just give us a call. If you're not sure, you can check Fannie Mae or Freddie Mac websites or contact them by phone between 8am & 8pm. a) I will not have made a late payment within the past 6 months. b) I will not have made more than one late payment in the last 12 months. Unfortunately, it appears that your loan does not qualify under the Home Affordable Refinance Program guidelines. That being said, there are several other options. 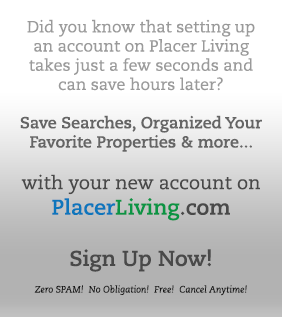 Contact us today so that we can fill you in on some of the other alternatives to foreclosure (i.e. short sale, deed-in-lieu, non-HARP loan modification, etc.). Each case is unique, and we would be happy to hear more about your particular situation and give you some guidance. We only use your name and email address to maintain your information and return requested info. We will not contact you unless you specifically ask us to here, nor will we sell, rent or otherwise make available your information to anyone. For more information, and to be contacted by a professional who can help you navigate the process. Just fill out the form below.